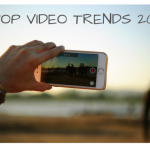 If your business is already utilising video marketing, interactive videos can be the evolution that you have been seeking from the regular audio-video experience your audience is accustomed to. You can consider a variety of ways to incorporate interactive technology into your product or brand videos, as discussed below. But what are the best ways to use interactive videos? Videos should rightly focus on selling experience or a benefit because it is what reels people in and encourages them to view the full video. If sufficiently convinced, they will want to know your brand better, try before they buy or at least kick-start some sort of engagement. However, as this involves some investment of time (even if 10-15 mins), some if not all viewers may postpone this effort if they are not sufficiently motivated or don’t have an urgent need for your product. When the option is right before them, potential customers will be more inclined to take the initial step and enter your sales funnel as leads. Interactive videos offer ease and convenience to your audience and fire up your lead generation. Instead of a lead capture form, what if you placed ‘add to bag’ options in your video? Viewers who are ready to buy will feel more compelled to act then and there than if they were browsing the same products on a website or a third-party marketplace catalogue. On your website, fear-of-missing-out (FOMO) messages such as ‘Hurry! Only 5 pieces left’, ‘Buy while supplies last’ or even a ticking clock next to your product can push quick sales. A direct purchase from within your interactive advertising video may not necessarily create a sense of urgency, but it will catch viewers ‘in the moment’ when they are most susceptible to suggestions. The human mind is highly susceptible to subconscious or subtle cues. Up to 40% of consumers change their minds at the point of sale because of something they see, hear or learn [Dhar, R (2012). The Irrational Consumer: Four Secrets to Engaging Shoppers Huffpost Apr 17, 2012]. You have the opportunity to generate interest from those who may be contemplating a product similar to yours. They will view your ‘add to bag’ suggestion differently than when they are watching a linear video. Even if the audience only interacts with your video without buying the product, they now have an experience with your brand, which will leave a lasting impression on them. If your interactive video has a substantial impact on viewers, there is a possibility that some will directly proceed to purchase from within the video because it is that simple to begin the process to owning the product. It is a well-known fact that we are more predisposed to remembering content with videos and images than text alone. We are exposed to tons of online visual content every day. So, there is not one but potentially multiple images or videos or parts of a video that may stick around in our minds at the end of the day. That means your video will be competing with many brand/product advertisement videos to recall stakes. An interactive advertising video would be more easily recalled due to its engaging and possibly unique nature. You may not recollect everything your manager said at the meeting where he was doing all the talking. However, you will be able to recount – may be even in sequence – an encounter with your manager, colleague, client or friend when the communication or participation was two-way, with one reacting in response to the other. Unlike a usual brand video where your audience is only watching, in an interactive video, they are engaging more actively with it. They are getting to know your product/service through a continuous experience. At the end of the experience, they feel more intimately connected to your product because they know more about it. The cumulative effect of video and informational text will have a more significant impact than video alone. Also, as an interactive advertising video does not overlay on the file, instead of showing hotspots and gives you the option to click, there is no disruption to the viewing experience. Even if the viewers choose not to click on hotspots to get more product details and only watches the video, they can replay it and this time, interact with the product they liked. If you feel that an educational approach to a video is the best way to intrigue and engage your audience, interactive technology is your best friend! You can explain your engagement model (ex: BPaaS), a new service, a complicated/multi-layered product more effectively. Your audience will be learning through doing, so to speak, and will have gained a more rounded understanding of whatever you’re trying to explain to them. Check out this is Wootag’ed interactive video of Unilever brand Lady’s Choice, and compare it with this is regular video advertisement Lady’s Choice brand video. Interaction does make a difference in experience and perception for a customer. It is time to power your marketing and sales with interactive technology. Try it now to improve business outcomes from your online advertisements.